‎Your view on the contest for the PDP chairmanship? Let me start by going back a little bit, starting with my own personal experience, I contested for the national chairmanship of the party in 2008. 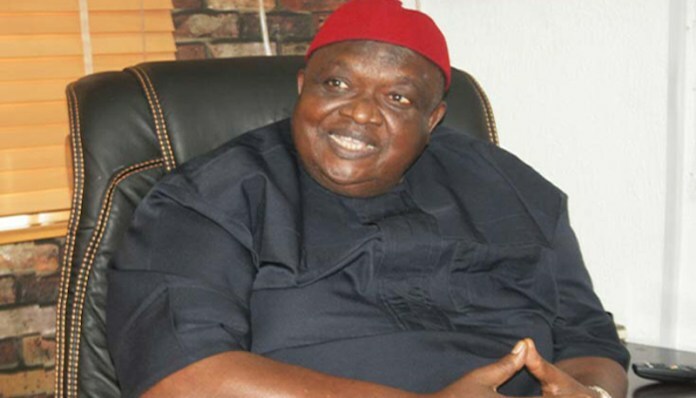 After running around the whole country, a magic happened in the night, before 12 midnight, they told us that a group called governors forum who had already hijacked the party, had decided and gave it to Ogbulafor.‎ We got to Eagle Square, fat men, big men were being lined up to just go and affirm. There was no courtesy of even calling us, we bought forms, there was no screening, they just came and told us that it was over. Some of us wanted to go to court but I saw the beginning of an end because how can you bring 5,000 delegates from Sokoto, Lagos, Calabar, some of them in very rickety old vehicles, they came and were not even allowed to vote. ‎Now, If they brought all the candidates there, consensus is acceptable, but they just took Metuh and zoned him my publicity secretary, they took Amachikure, zoned her the national woman leader of the party, they didn’t even have the courtesy of calling us, even if that was a wise decision, they should have called us. ‎How do we get it right? We must go the original vision of the founding fathers of PDP, great men who under the most vicious military regime of Abacha risked their lives and their businesses. Ekwueme, Jerry Gana, Solomon Lar, Sunday Awoniyi, Abubakar Rimi, some of them from the old NPN stock, some of them from the progressives, but they came together in the interest of Nigeria to arrest military dictatorship.They took a risk and then these things now happened and was as if that vision had been scuttled by people who were basically strangers, they were not there, we were carrying portfolios, we were servants to these great men you talk about, but some people just came. PDP lost the goodwill of Nigerians, so we had that Peoples Democratic Party disconnected from the people, where did the people go, change. ‎National Assembly and the president are not in good terms. We do not have one party called APC. Now PDP is one party, check the origin of the party, a group of prominent Nigerians from across, various political device came together and formed it. It was not a party formed on anger of let us remove Jonathan or that party must go to the north. ‎The ideological foundation was strong, patriotic, national, we may have gotten it wrong because of some people that we brought into the system, if they sit here with me, I will tell them that you contributed this, we know what they did. Did we have a failure, yes we had a failure, have we learnt from it, that is what we are saying, this is a human mind thing, while we are doing that, some people are already picking tickets in the dream. They are working, manipulating, so that the tickets of presidents, vice presidents and all that to be given to them, those are the ones that are anti-PDP. But because this party has been here for 16 years, before circumstances brought it down, 50% of it was self inflicted by themselves, the wrong choice of leaders and wrong choice of policies.